Explaining science won’t fix information illiteracy. It won’t. Try this instead. Scientists should reconsider how they deploy their knowledge. Photo illustration by Slate. Photo by DragonImages/Thinkstock. If you consider yourself to have even a passing familiarity with science, you likely find yourself in a state of disbelief as the president of the United States calls climate scientists “hoaxsters” and pushes conspiracy theories about vaccines. The Trump administration seems practically allergic to evidence. And it’s not just Trump—plenty of people across the political spectrum hold bizarre and inaccurate ideas about science, from climate change and vaccines to guns and genetically modified organisms. If you are a scientist, this disregard for evidence probably drives you crazy. So what do you do about it? It seems many scientists would take matters into their own hands by learning how to better communicate their subject to the masses. I’ve taught science communication at Columbia University and New York University, and I’ve run an international network of workshops for scientists and writers for nearly a decade. I’ve always had a handful of intrepid graduate students, but now, fueled by the Trump administration’s Etch A Sketch relationship to facts, record numbers of scientists are setting aside the pipette for the pen. Across the country, science communication and advocacy groups report upticks in interest. Many scientists hope that by doing a better job of explaining science, they can move the needle toward scientific consensus on politically charged issues. As recent studies from Michigan State University found, scientists’ top reason for engaging the public is to inform and defend science from misinformation. It’s an admirable goal, but almost certainly destined to fail. This is because the way most scientists think about science communication—that just explaining the real science better will help—is plain wrong. In fact, it’s so wrong that it may have the opposite effect of what they’re trying to achieve. 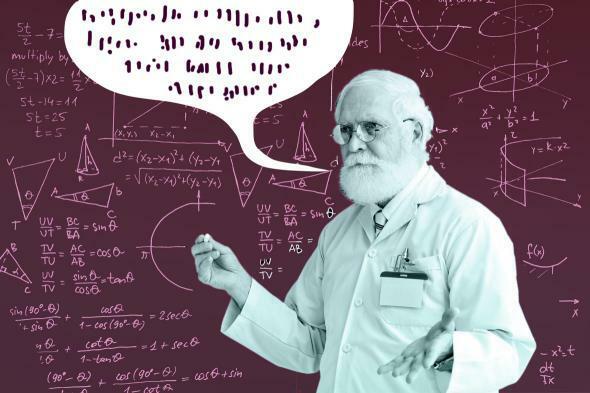 Before getting fired up to set the scientific record straight, scientists would do well to first consider the science of science communication. The theory many scientists seem to swear by is technically known as the deficit model, which states that people’s opinions differ from scientific consensus because they lack scientific knowledge. In 2010, Dan Kahan, a Yale psychologist, essentially proved this theory wrong. He surveyed over 1,500 Americans, classifying each person’s “cultural worldview” on a scale that roughly correlates with politically liberal or conservative. He then assessed each person’s scientific literacy with questions such as “True or False: Electrons are smaller than atoms.” Finally, he asked them about climate change. If the deficit model were correct, Kahan reasoned, then people with increased scientific literacy, regardless of worldview, should agree with scientists that climate change poses a serious risk to humanity. That’s not what he found. Instead, Kahan found that increased scientific literacy actually had a small negative effect: The conservative-leaning respondents who knew the most about science thought climate change posed the least risk. Scientific literacy, it seemed, increased polarization. In a later study, Kahan added a twist: He asked respondents what climate scientists believed. Respondents who knew more about science generally, regardless of political leaning, were better able to identify the scientific consensus—in other words, the polarization disappeared. Yet, when the same people were asked for their own opinions about climate change, the polarization returned. It showed that even when people understand the scientific consensus, they may not accept it. If scientists simply want to explain science to a curious audience, disseminate their research more broadly, or write for fun, this doesn’t matter much. But if scientists are motivated to change minds—and many enrolled in science communication workshops do seem to have this goal—they will be sorely disappointed. That’s not to say scientists should return to the bench and keep their mouths shut. They should just realize that closing the “information gap” isn’t the goal. And instead, they need to learn how to communicate science strategically. There are obvious reasons why science communication is a necessary and worthwhile endeavor, but a huge one is that there’s a politically motivated push to destabilize scientific authority. At a Heartland Institute conference last month, Lamar Smith, the Republican chairman of the House science committee, told attendees he would now refer to “climate science” as “politically correct science,” to loud cheers. This lumps scientists in with the nebulous “left” and, as Daniel Engber pointed out here in Slate about the upcoming March for Science, rebrands scientific authority as just another form of elitism. Is it any surprise, then, that lectures from scientists built on the premise that they simply know more (even if it’s true) fail to convince this audience? Rather than fill the information deficit by building an arsenal of facts, scientists should instead consider how they deploy their knowledge. They may have more luck communicating if, in addition to presenting facts and figures, they appeal to emotions. This could mean not simply explaining the science of how something works but spending time on why it matters to the author and why it ought to matter to the reader. Research also shows that science communicators can be more effective after they’ve gained the audience’s trust. With that in mind, it may be more worthwhile to figure out how to talk about science with people they already know, through, say, local and community interactions, than it is to try to publish explainers on national news sites. And they might consider writing op-eds for their local papers, focusing on why science matters to their particular communities. Scientists can also learn to avoid certain pitfalls. I spoke with Gretchen Goldman, research director of the Union of Concerned Scientists’ Center for Science and Democracy, which offers communication and advocacy workshops. * A counterintuitive lesson she’s learned is that refuting stories that deny climate change by addressing each claim and explaining why it’s wrong is not that productive. In fact, it could be counterproductive: “If you repeat the myth, that’s the part people remember even if you immediately debunk it,” she says. A better approach, she suggests, is to reframe the issue. Don’t just keep explaining why climate change is real—explain how climate change will hurt public health or the local economy. Communication that appeals to values, not just intellect, research shows, can be far more effective. Goldman also said scientists can do more than just educate the public: The Union of Concerned Scientists, for example, has created a science watchdog team that keeps tabs on the activities of federal agencies. Signing up helps ensure that policy decisions at all levels are based on good science. In my own workshops, I’ve certainly been guilty of focusing on communication skills at the expense of strategy and not fully addressing the flawed deficit model. But I’m learning to better challenge scientists’ assumptions about how communication works. The deficit model, I’ve found, is difficult to unlearn. It’s very logical, and my hunch is that it comes naturally to scientists because most have largely spent their lives in school—whether as students, professors, or mentors—and the deficit model perfectly explains how a scientist learns science. But the obstacles faced by science communicators are not epistemological but cultural. The skills required are not those of a university lecturer but a rhetorician. There’s a certain irony that scientists, of all people, know so little about, well, the science of science communication. There’s also a certain irony that, right here in this article, I’m lecturing scientists about what they might not know—in other words, I’m guilty of following the deficit model myself. So in the spirit of doing better, I’ll not just write this article but also take the time to talk to scientists in person about how to communicate science strategically and to explain why it matters. I hope they end up doing the same.